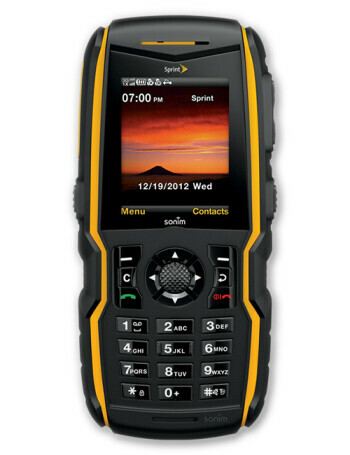 Sonim XP Strike is a rugged feature phone compatible with Sprint's push-to-talk service. It is a mil-spec 810G rated device that can withstand 6-foot drops to concrete, as well as a 30-minute submersion in water. It can withstand rain, vibration, shock, salt fog and dust. Other features include a 2MP camera with flash, Bluetooth, FM radio, GPS and support for microSD cards.